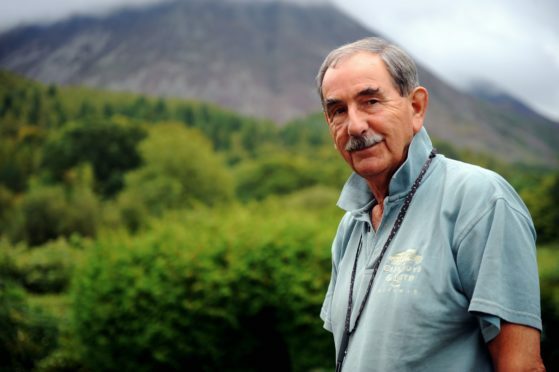 Over the years Hunter Davies has gained a reputation for being resolutely cheerful. His positivity has been tested in recent years, however, after first losing his wife and then enduring major heart surgery. He has now written of the loss of his wife Margaret after 55 years of marriage and, in his 80s, learning to live alone again for the first time in nearly six decades. But Hunter, now 83, remains as stubbornly upbeat as ever after surviving triple heart bypass surgery. His latest book is called Happy Old Me: How To Live Long And Really, Really Enjoy It. Known for his seminal Beatles biographies, which sparked an enduring friendship with Sir Paul McCartney, it is Scottish-born Hunter’s 100th book. His latest memoir is a heart-warming and heartfelt tribute to the love of his life, Margaret, who died in 2016 following a battle with cancer of the spine. It charts how he coped with bereavement in his old age — and how he found contentment in a new relationship. “It was after about a year of being on my own that people started saying, ‘will you get married or live with anyone again?’ and I said no,” says Hunter. “I can’t see that changing, but I did get to the stage where I thought I could do with a girlfriend to have meals and go on holiday with. “I wanted a girlfriend about 70, have her own house, family, interests, career and the same things I want. I wanted her to have her own teeth – just a euphemism for being fit and well. “I didn’t want to do the internet dating, because I didn’t want to meet a stranger. Hunter cast around for similar-minded women around his own age, including a few well-known names. Then one day a former PR woman who worked with Hunter about 30 years ago contacted him out of the blue. “Our relationship was purely professional. She would ring me up and ask if I wanted to interview someone starring in a movie. “After Margaret died she wrote to me and I remembered her name — but I couldn’t remember what she looked like! His new partner, Claire, is not a replacement for Margaret (“How could she be?”) but they are happy together – although Hunter does not use the “love” word. “The most I say is ‘I love you very much’,” he explains. “I don’t say I love you, but then I never said it with Margaret either. “The younger generation – my children and grandchildren – say ‘I love you’ all the time. It’s overdone!” Before finding happiness with Claire, Hunter first had to learn how to take care of everyday concerns on his own. “I hadn’t cooked or cleaned in our 55 years together,” he adds, sheepishly. “So I had lots of fun in the book describing how that side of things went wrong. Hunter became known for his writing on The Beatles, and he developed friendships with the Fab Four, especially Paul. “Paul and Linda holidayed with me and Margaret when they were first married,” he says. “But we rather lost track when he was married to Heather. “But I’ve been to parties with him since I got married to his new wife. “He sent a nice note when Margaret died. I sent him a letter when Linda died. After undergoing triple heart bypass surgery, Hunter is doing well – and the post-operative wound has completely vanished. His cheery demeanour, unlike his scar, refuses to disappear. “It’s how you’re born,” he said. “I don’t get depressed – I get bored. When a book is finished and I don’t have another lined up I get mad. Happy Old Me: How To Live Long And Really, Really Enjoy It, is out now.